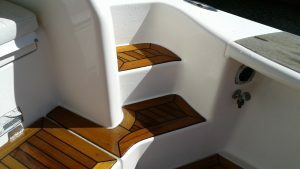 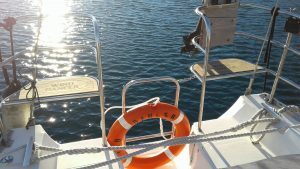 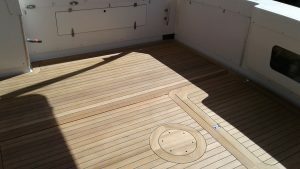 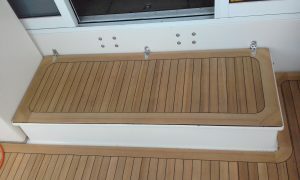 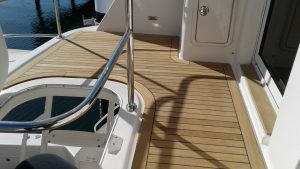 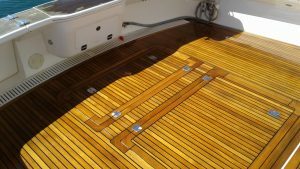 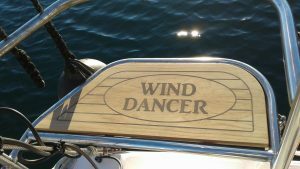 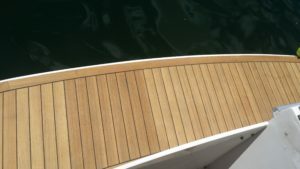 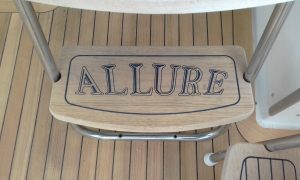 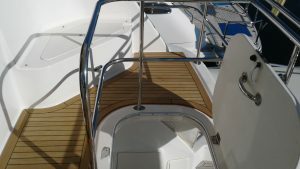 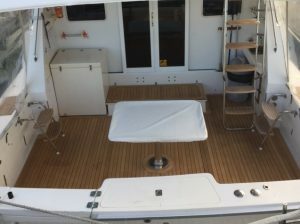 New deck for a Bertram 42 with custom teak steps to the flybridge. 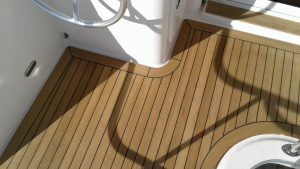 New deck for a 60′ Riviera flybridge. 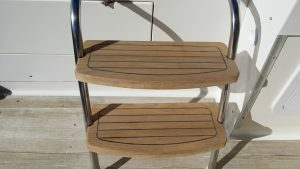 Custom teak steps and seats.